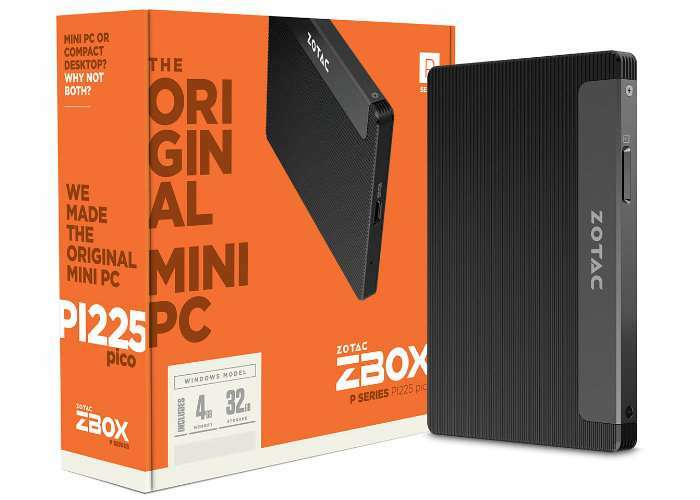 ZOTAC has unveiled new additions to its range of mini PCs with the unveiling of the ZBOX M-series and P-series which have been created for everyday users. Both ZBOX MI553 and PI225 inherit the defining features of their predecessors, and perhaps employ the most ambitious designs and features yet in a Mini PC. We want to make sure users can enjoy a simple and fast computing experience. Future Fast – The all-new ZBOX MI553 introduces the largest surface-area of ventilation ever that with future fast technologies that brings speeding performance to the forefront. It features a 7th Gen Intel Core processor based on the Kaby Lake architecture, a revolutionary Optane Memory technology, Thunderbolt 3, USB 3.1 Gen2, and the fast lanes to support a NVMe M.2 SSD. 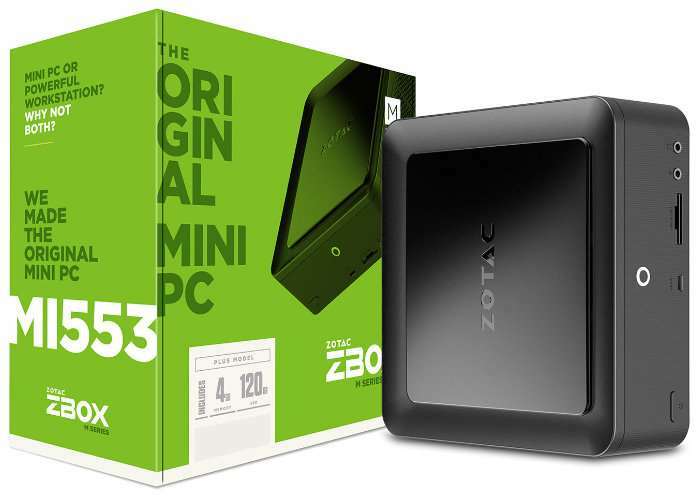 Professionally dressed for the office and casually comfortable for the home, the all new ZBOX MI553 is the multi-functional do it all Mini PC. Mini More Possibilities – The world’s smallest and thinnest Mini PC, the ZBOX PI225 is powered by an Intel Apollo Lake dual-core processor combined with a ribbed metal exterior to provide a symphony of silent performance in a world ranking pico size. ZBOX PI225 capitalizes on a completely fan-less design with fast 802.11ac wireless and Bluetooth 4.2 connectivity, two USB 3.0 Type-C ports and Windows 10 pre-installed to create many more possibilities.